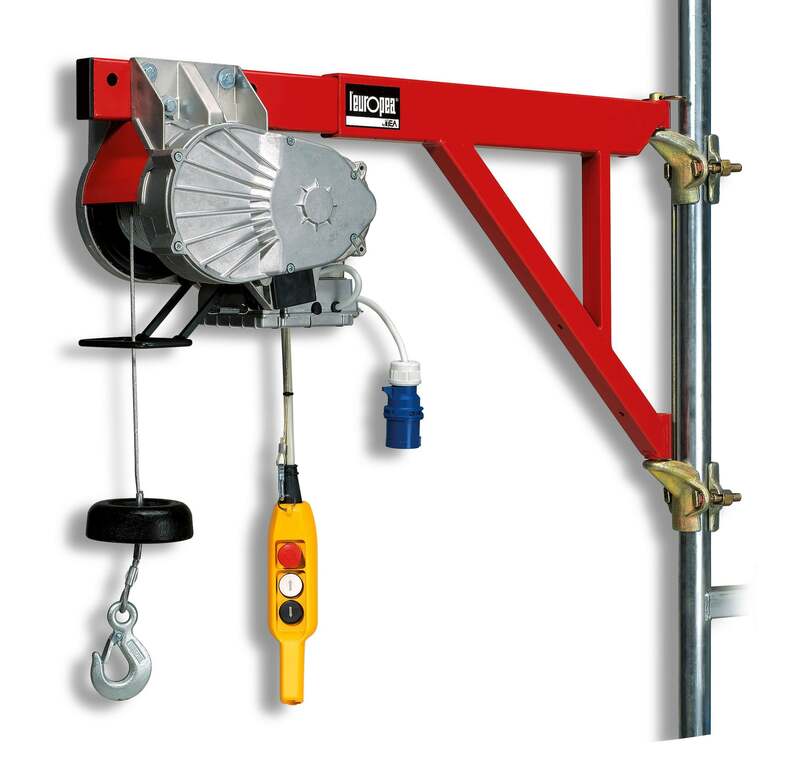 A builders hoist perfect for the construction industry with a safe working load of 150kg; The L’Europea HE150 Veloce Scaffold hoist is easy to fit to a scaffold pole. 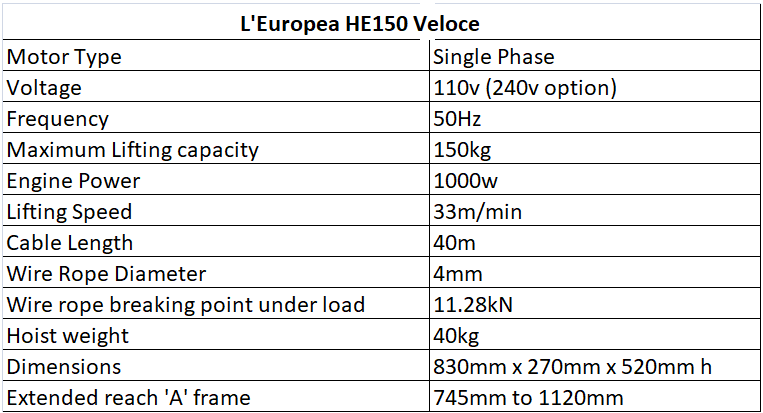 The L'Europea HE150 Veloce scaffold hoist is the smallest in the range on offer from Lifting Hoists Direct and has a maximum working load limit of 150kg. 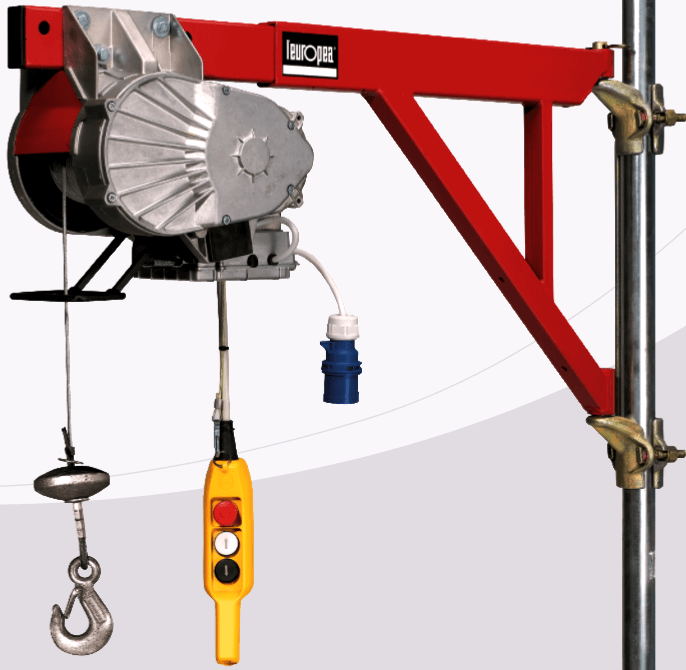 The single phase, 220v power supply of the HE150 Veloce scaffold hoist gives 1000watts of motor power which in turn enables a maximum lifting speed of 33 meters per minute. 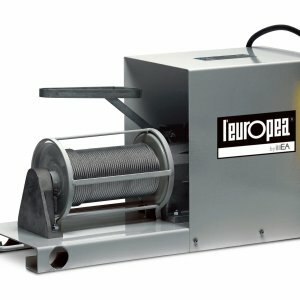 The 40 metres of wire rope which comes with the TEA L'Europea HE150 Veloce scaffold hoist has a diameter of 4mm. The wire rope should be regularly checked for sign of wear, damage and broken wires which could affect the safety of the hoist whilst in use. 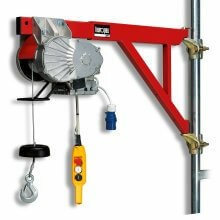 These scaffold hoists require virtually no maintenance, providing the machine is not abused. Checking it over for loose fittings and obvious damage on a regular basis can help to prolong its working life and prevent unnecessary accidents. You should always read the manufacturer's instructions prior to use and follow all advice. For an alternative scaffold hoist, take a look at the new hoist from the ground scaffold hoist, the HG200 means no more hauling the hoist up the scaffold tower! 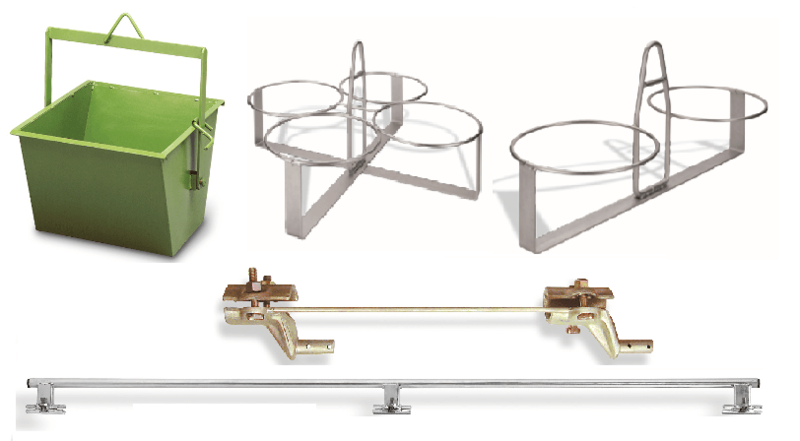 We can also supply a range of accessories to compliment the L'Europea HE150 Veloce, including buckets, bucket carriers, window props, scaffold fixings, adjuster kits and more. If you need more information, a quote or spares and repair please call our team who will be ready to help, of contact us here.